I’ve spent years searching for a fair-minded approach to grading that demands accountability but also doesn’t crush student spirits when products don’t turn out well. I’ve definitely been given the “hard grader” label over the years, but students have also mostly agreed with my observations when it comes time to conference. Our district writing rubric is clear and concise, and since students are familiar with it we can have conversations using common vocabulary. I would venture to say that most of my students are not surprised by the grades they earn. Despite being generally happy with my approach to grading and encouraging a growth mindset in my writers, I’ve still sometimes wound up frustrated with myself, or with the firm language of a rubric that feels fair until those peculiar moments when, on a particular paper, it suddenly doesn’t. One of the most effective remedies I’ve discovered is the practice of pre-annotation. The self- and peer-editing processes in my classroom have undergone countless restructurings of their own over the years. Pre-annotation, however, is something different. I stumbled upon it after a particularly rough round of papers had been passed back to students and everyone in the room (myself included) was in a pretty sour mood. Luckily the assignment was one of two back-to-back on-demand pieces and so I made a sudden, on-the-spot decision regarding the upcoming piece. When that next writing assignment rolled around, I included these additional directions, which took about five to seven minutes for the kids to complete: Upon completing your draft, please highlight your central argument in one color, your two main points of evidence in a second color, and then annotate in the margins why your analysis is effective at proving your argument. The results were fascinating. There was not an immediate across-the-board uptick in writing quality, but there were some highly visible outcomes that convinced me this was the future of finalizing a draft for grading. My laziest writers (a different demographic than struggling writers) suddenly had no place to hide: When your thesis statement is supposed to be glowing fluorescent yellow, it’s a bit awkward to turn something in that doesn’t have one at all. Similarly, students who had a history of shrugging off thorough evidence in favor of one thin quote suddenly had a robust collection of evidence, all neatly highlighted. But those results were ultimately superficial. What really startled me as I sat down to grade this second round of writing was the perceptions students had of their own arguments. Many of my less successful writers, it turns out, had little sense of how to actually go about effectively examining and analyzing evidence. No surprise, right? Remember those annotations though? The information I learned about my writers from what they BELIEVED they were doing in their writing proved much more valuable than just the writing itself. Some students misunderstood what their own evidence was saying (a reading comprehension error). Others felt they were plumbing the depths of their quote simply by saying “This quote shows” followed by the most trite paraphrasing (a habit that probably has as much to do with depth-of-knowledge issues as anything else). The difference here might feel minor, but the key is that the conversation is beginning from the point of their intentions as writers. Simply by acknowledging what they were attempting to do, I was able to invite them to understand the paper’s shortcomings without ignoring their intentionality. The practice works even better with a process paper than with on-demand writing. When students have put in time on multiple drafts, they tend to have a stronger sense of motivation and purpose than even we give them credit for. Inviting them to highlight intentionality for you before you put your own pen (or digital feedback) to their papers is something of a gift for them. I wrote a couple months ago about a Narrative Journalism piece my students write that emphasizes voice in their writing while also introducing a new genre of writing to them. You can check out the details in that article, but for our purposes here, we just need to keep in mind that the assignment was about controlling voice using some new writing tools and thinking actively about their structure as they recounted an activity they had done. Provide at least TWO comments where you explain how you have effectively done each of the following: (If you cannot find two effective examples of each, put a comment in a place where you might ADD this element and explain that). Voice: Select two places where you have used Levity, Juxtaposition, Anecdotes, or Parallel Structure and the impact each one has. Research: Select two places where a research fact or detail adds to a particular moment in your narrative and why you chose to place it there. Due a couple days ago, the annotations my students made have told me a lot about their efforts (and will continue to guide my thinking–they leave them in place on their final drafts). For example, one of my students annotated a detail about Asian cooking to point out that this research point emphasizes an important aspect of the chef she’s profiling. A rather mundane detail turns out to be cleverly tied to her characterization! Even students who aren’t quite as reflective yet as writers turn out to have insights. That’s not trivial when you discover just how much a “struggling” writer is actually taking agency in their own work. One such student highlighted a funny moment of text and remarked in her annotation “I’m a pretty sarcastic person. It shows here.” She’s right! It’s levity! It’s used wonderfully in the moment and suggests she’s completely aware of her voice as a writer. Another student, responding to the part of the directions about noting moments where they’d like to revise (this annotation is done about two days before the due date), noted simply “I’m still moving paragraphs around to get a feel for the structure and order of the story.” Given that much of our study of models in this unit was about how journalists make such structural choices, this feels like a good sign. Having students outline their thinking through pre-annotation has allowed me to grade more generously without sacrificing high expectations. In fact, it has allowed me to better articulate to students why they are a “3” on the rubric (which suggests competency) instead of a “4” on the rubric (which demands effective strategy). But it has also allowed me to see beyond where a student sits on the spectrum as a writer–it lets me see why they might be struggling to move beyond that level. Do you engage with your students about why they write the way they do? If so, what strategies have worked for you? How do you help students to think about the decisions they make in their writing? How do you make their thinking visible? 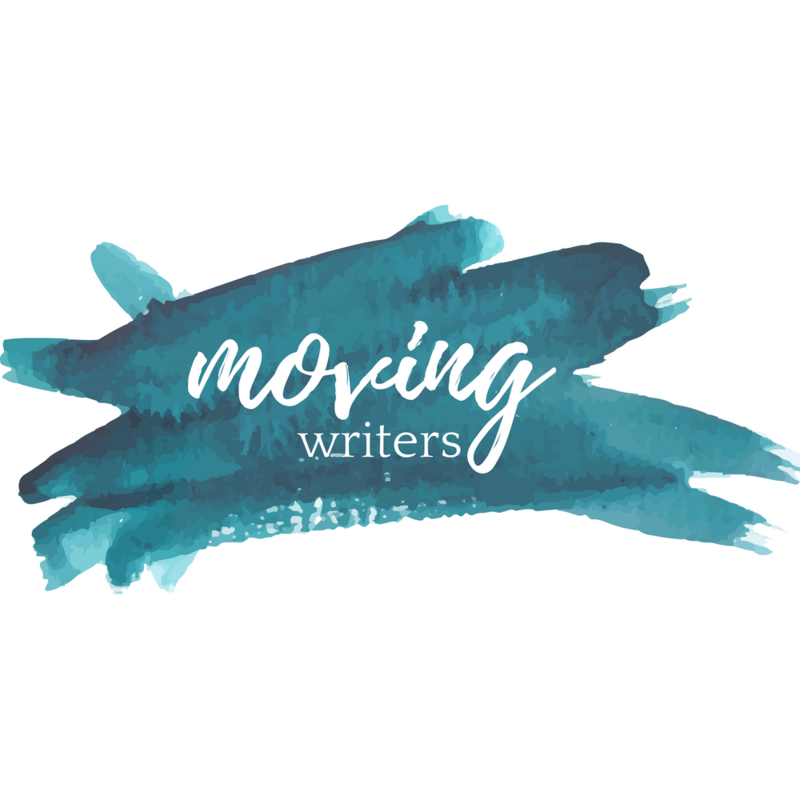 Share your thoughts with me on Twitter ( @zigthinks ) or visit our Facebook site: facebook.com/movingwriters.